Puregoldstick: Hooray for Kid's Stuff! It should come as no surprise that our decorative cabinet and drapery hardware are a hit with children's room decor. You can't be too whimsical, too colorful or too playful. Just release your inner child and have some decorating fun. 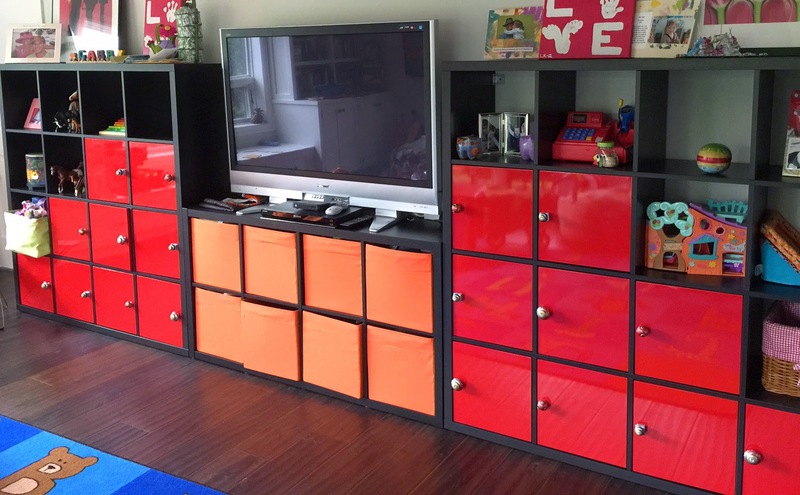 Mini Duo Ruby 2" dia, Nu Mini Style 6 Ruby 1.5" dia, Duo Square Deep Lapis 1.25"
That''s how one of our customers designed her children's playroom. 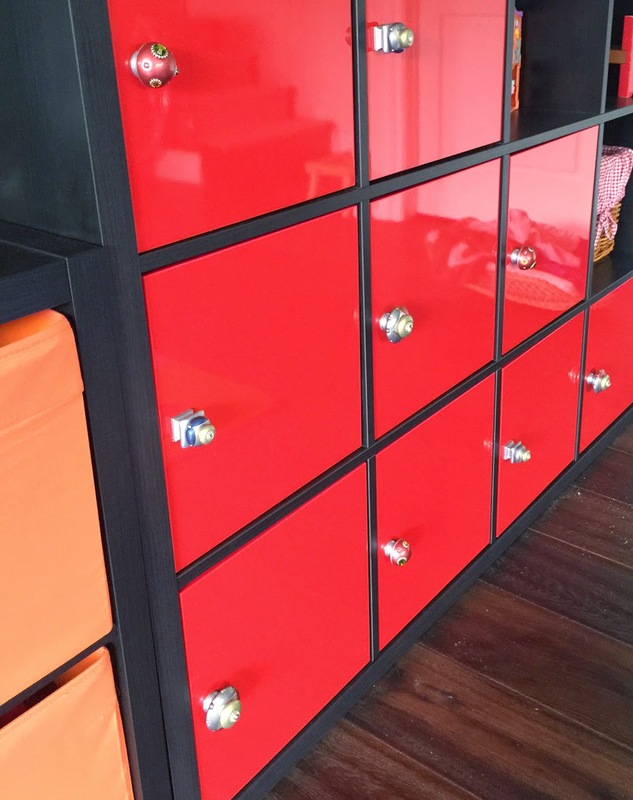 She dressed up her Ikea laminated cabinetry with 3 different Susan Goldstick cabinet knobs. 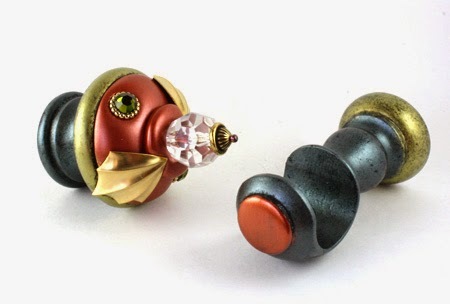 I especially like the way she chose knobs that all have a silver painted stem or base. It shows a nice contrast and profile.. Interior Designer Linda Mansy of McIntyre-Mansy Associates created unusual window treatments with our Birdie drapery finials and brackets. 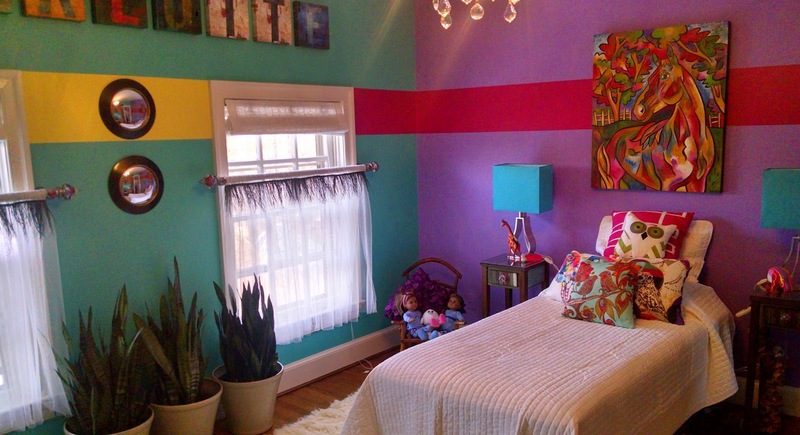 She has a fantastic eye for color and takes whimsy to the max! These are very lucky little girls. I absolutely love how she divided the windows, running the decorative drapery rods at eye level. The perfect way to show off our unique and colorful Birdie finials. 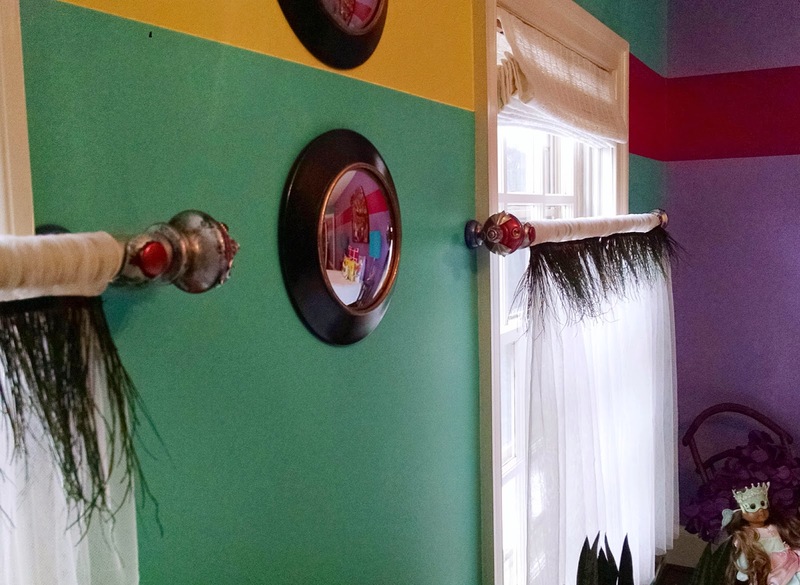 The fabric wrapped poles with the feathery fringe adds extra whimsy and fanciful flair. The lively aqua walls are a great backdrop for our ruby colored Birdie finials with silver metal details and paint finish. 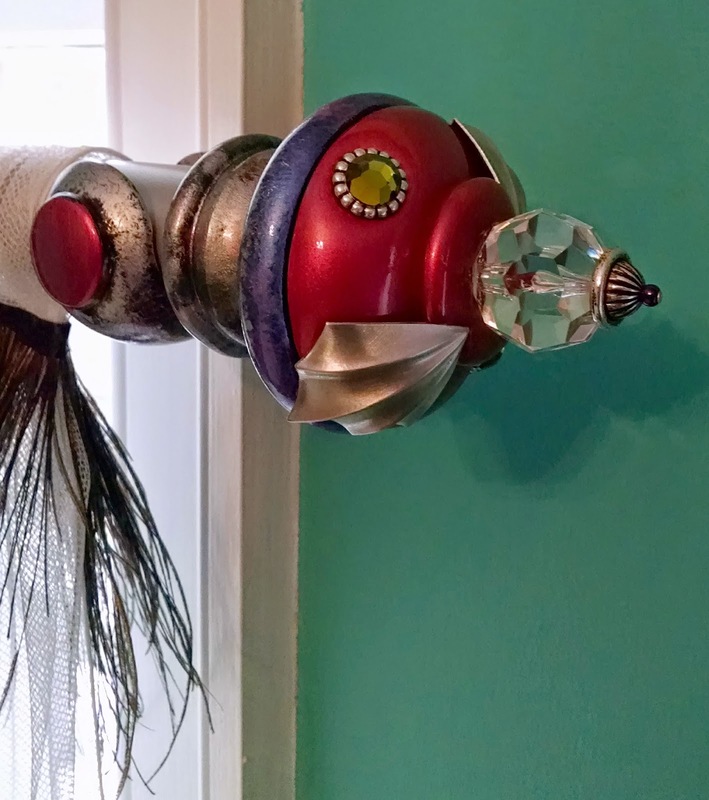 just one of the many well thought out details in this spectacular little girl's room. 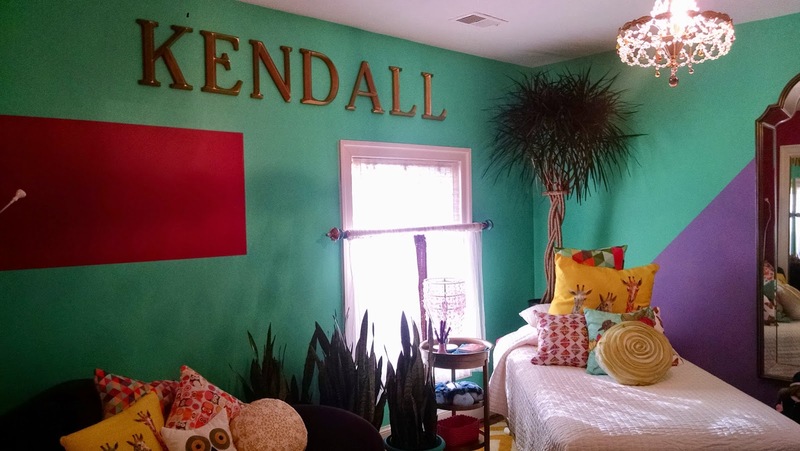 selected for little Kendall's room..